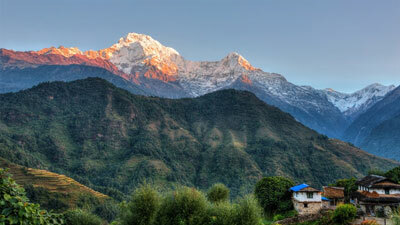 Day 03: Drive or fly to Pokhara 850m. 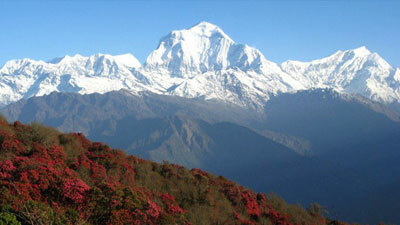 Approximately 5/6 hours of drive from Kathmandu to Pokhara that complets a distance of 202 KM by overland. If not 30 minutes by air and vernight at hotel. Day 04: Pokhara to Tirkhedunga 1525m. A morning drive to Nayapul and dropping down after a while walk up to Modi River then Birethanti 1065m. A trail to Ghandruk turns off from here and continues further later on goes climbing to Hile camp at Tirkhedhunga 1525m. 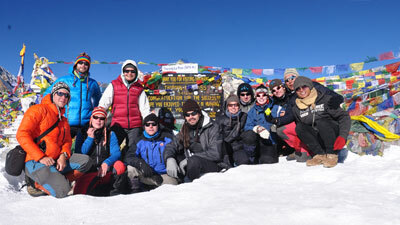 Day 05: Tirkhedhunga to Ghorepani 2855m. A very steep trail from Tirkhedhunga scorts to Ulleri 2070m. again continues ascending on the way to Bahunthanti 2250m. next to Nayathanti 2460m. 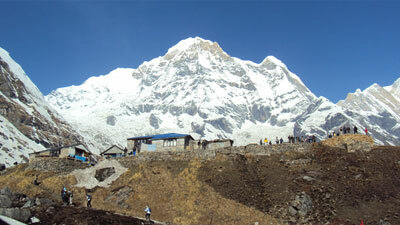 then after an hour of treks that gets excess to Ghorepani. Day 06: Ghorepani to Tatopani 1220m. A walking trail comes steeply down to Chitre 2390m. and trail changes with a terraced hill towards Sikha 1080m. an ethnic group knowns as Pun Magars. On the route Ghara 1705m. comes trail goes ahead crossing a suspension bridge hanging over Kali Gandaki River. Turning to north walking to Tatopani a spot HOT WATER. Day 07: Tatopani to Kalopani 2530m. 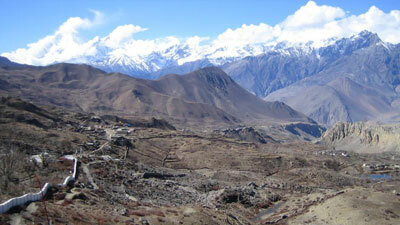 The trail goes through Kali Gandaki Valley passing through the way towards Jomsom. The river cuts a waterway making a chasm between Annapurna I and Dhaulagiri meeting the criteria on Kali Gandaki Valley as deepest gorge in the world. Flanked by two mountains ranging 8000m. rarely aparts at a distance of 38KM. This Kali Gandaki River flows an approximate height of 2200m for the sea level. The trail climbs gradually up to Dana 1400m. later to Rukse Chhara facing a precarious track with narrower and precipice. Before reaching Ghata 2013m. should cross a suspension bridge 1935m. suspending on the river ahead Lete River and then Lete 2470m. finally Kalopani a palce of superb for viewing mountains including Mt. 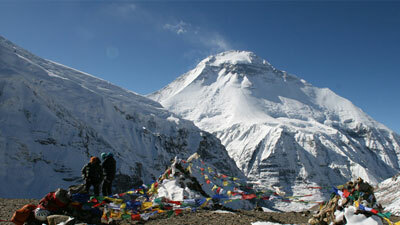 Dhaulagiri and others. Day 08: Kalopani to Jomsom 2720m. Even if there are two routes but one trail that passes through Larjung 2560m. offers a passageway and tunnel between two houses and emerges Tukuche 2590m. a Thakalese Village . Before reaching today's camping destination Jomsom, Marpha 2667m. comes along the way huddling behind a ridge. Day 09: Jomsom to Muktinath 3800m. A trail stretching out to Kagbeni avoinding a way to Mustang that turns off in the eastern direction of propinquity to Muktinath. After relax of a while from there approached the impotant destination having equally significant location for either Hindus or Buddhists creed. An eternal flame into the water is sequentially responsible to the combination of earth, watergas and fire. According to the religious mythology all sins throughout the one's life are washed away while taking bath in 108 waterspouts around the wall of temple. 06: Muktinathe to Jomsom 2720m. 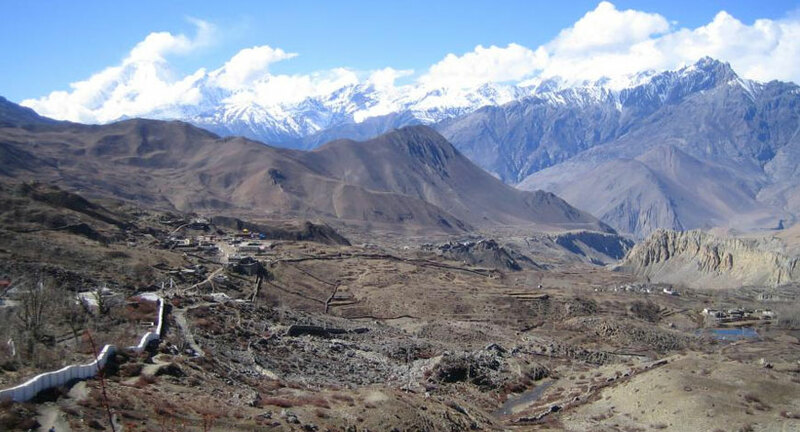 Retrace to Jomsom after soaking up the atmospheric exquisiteness of Jomsom rest and relax. Day 10: Jomsom to Pokhara 850m. 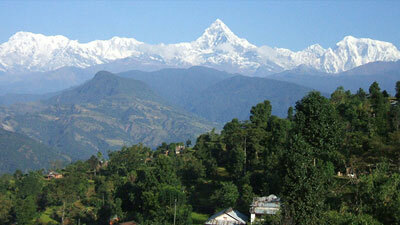 Fly back to Pokhara from Jomsom and half day sightseeing around the Pokhara. Day 11: Pokhara to Kathmandu . Fly or drive back Kathmandu and hotel check-in rest of the time free. Day 12: Kathmandu . Full day free and in the evening a farewell dinner. Day 13: Airport drop for departure.